Three people accused of attacking police headquarters and tortured under detention in the eastern Turkish province of Van turned out to be civilians who were collecting mushrooms on a mountainside, the Hürriyet daily reported on Monday. According to the report, they were held hostage by outlawed the Kurdistan Workers’ Party (PKK) militants who seized their identity cards and phones and used their vehicle to attack a local police station in Gevaş district of Van. They were released by the militants nine hours after the attack and detained by police as they were on their way to the police station to explain that they had been held hostage. 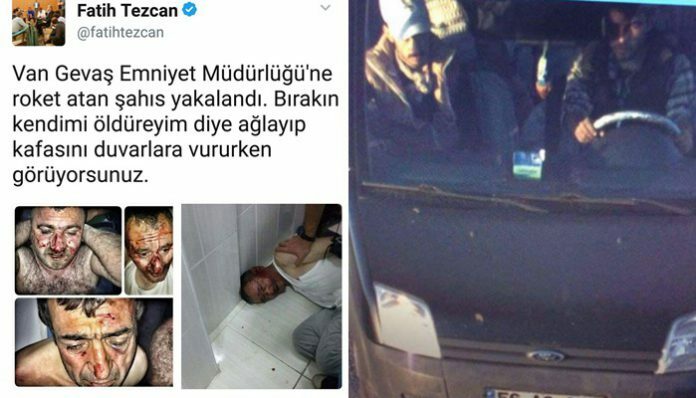 They said in their testimonies that they did not know their vehicle was used to conduct the attack but were not listened by the police, who beat and insulted them, the photos of which were shared on social media. They were released on judicial probation after five days. This article originally appeared in Turkish Minute on June 19.